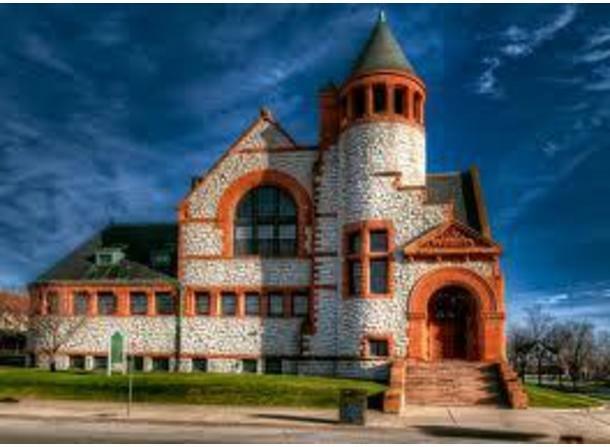 Open since 1890, it is one of Michigan's top genealogical centers for research on family histories and an excellent example of Romanesque architecture. Free wireless internet available. Handicap accessible. Open Monday and Thursday 12 pm - 8 pm, Tuesday and Wednesday 10 am - 6 pm, and Friday - Saturday 9 am - 5 pm. Historical walking tours are available through our website. Go to "Genealogy" then select "Historic South Jefferson Avenue Walking Tour". The latest Tweets from Saginaw Library (@saginawlibrary): "I posted a new photo to Facebook https://t.co/0XjPAbHyhx"